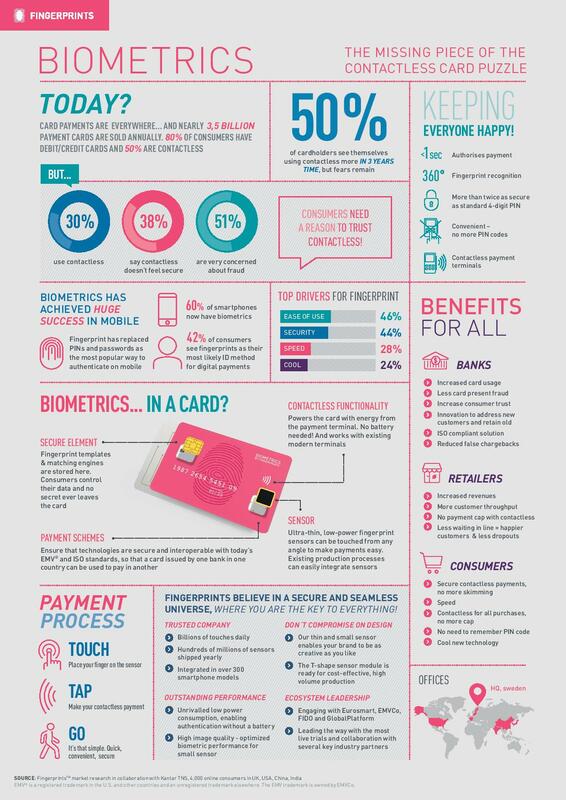 Infographic: card fraud – is biometrics the missing piece of the puzzle? How can biometrics help conquer the new challenges presented by contactless card fraud? To illustrate, Swedish biometrics firm Fingerprints has created this cool infographic that shows how biometrics may be the missing piece of the puzzle. More info.on biometric on banking cards.Thanks.